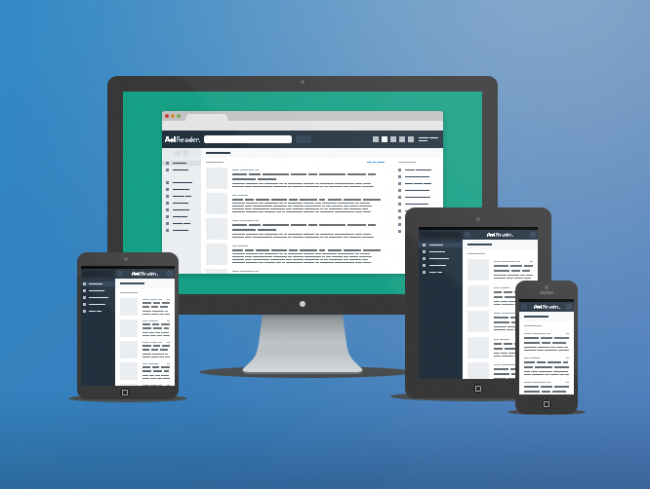 Update: The beta for AOL Reader is now live. Go sign-up! With Google Reader scheduled to shut down in about a week on July 1, we’re seeing more replacement services pop up by the day outside of Feedly. One of those happens to be mega-internet giant AOL, who appears to have semi-secretly launched their own Google Reader replacement into beta. They already have a landing page for the new service, which is simply calling it AOL Reader. According to the site, the service will be customizable, allow you to adjust the experience to your liking, and allow for importing/exporting to and from other RSS readers. Also, if you take a look at the image used for AOL Reader (included at the top of the post), we’re seeing the presentation of experiences across multiple devices and device sizes, ranging from phones to tablets to computers. That could mean apps or it could mean a website that scales depending on your browser or device. As far as the beta goes, the AOL Reader website displays a sign-up or invite request box, however, I’m unable to get it to submit without error. Engadget is reporting that sign-ups will go live on June 24.